Swingin' Neckbreakers - The Return Of Rock! 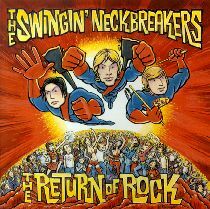 After a 2½ year wait, the Swingin' Neckbreakers finally return with their newest album, The Return Of Rock! 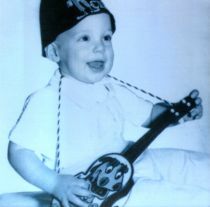 Not that that Neckbreakers had disappeared during that time -- they'd continued to play regularly around the US (and even made a trip to Spain! ), and a couple of new recordings trickled out here and there, as you can see by the discography. Still, old and new fans alike had been eagerly looking forward to another full-length release and The Return of Rock proves to be well worth the wait. If you haven't already picked it up you can order it here! 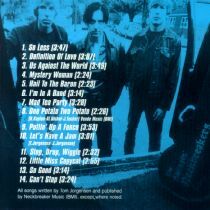 All songs written by Tom Jorgensen except where noted. 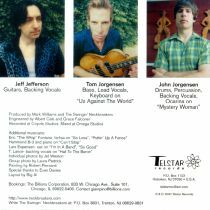 Eric "The Whip" Fontana - farfisa on "So Less,"
Lars Espensen - sax on "I'm In A Band," "So Good"
T. Lance - backing vocals on "Hail To The Baron"